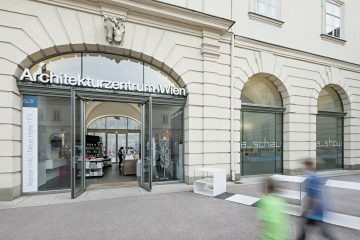 In 2018 the Architekturzentrum Wien celebrates its 25th year.  In this quarter of a century the Az W has not only established itself as an international venue for exhibitions but also as an Austrian architecture museum. 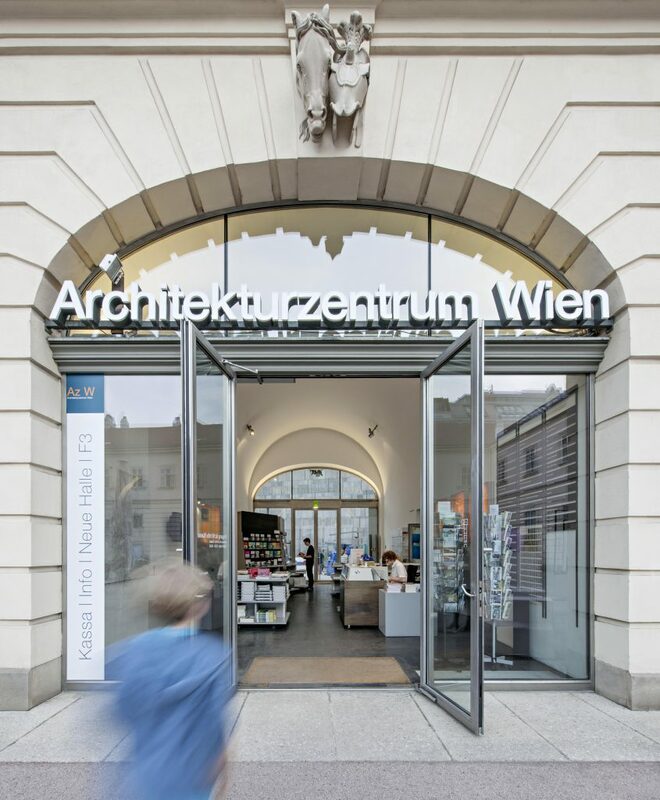 The Az W has at its disposal the most comprehensive collection on Austrian architecture of the 20th and 21st centuries, for which there is great demand internationally. This jubilee provides an occasion to take a fresh look at what has happened in architecture over recent decades. Among other things, two major exhibitions bring long-overlooked gems to light. We raise the curtain at the beginning of May with the monumental show ‘SOS Brutalism. Save the Concrete Monsters!’, from the Deutsches Architekturmuseum. The expressive buildings of raw fair-faced concrete from the 1950s to the 1970s were vilified for decades as architectural eyesores, and torn down or left to decay. In the meantime these buildings are experiencing a veritable hype, being loved or dismissed with similar intensity. The exhibition offers a world-wide survey of Brutalist architecture and is being expanded by the Az W with stocks from our own collection to include a focus on Austria. From November the Az W is devoted to the iconic architect Denise Scott Brown, with the world’s first extensive solo exhibition dedicated to her work. With her undogmatic formal vocabulary, her precise urban interventions, but also her mannerist escapades, the today 86-year-old architect, urban planner and author has had a lasting influence on the architecture world. At the same time, her work has stood somewhat in the shadow of her partner’s, Pritzker Prize-winner Robert Venturi. It is time to pay tribute to this Grande Dame of Architecture, who will unfurl a fantastic universe in Exhibition hall 2 at the Az W – complete with a tongue-in-cheek reference to Vienna. The major jubilees of 2018 are also reflected in the current Az W Programme. The exhibition ‘Stadt des Kindes: On A Failed Utopia’ engages with the shift in Viennese social policy in the wake of the 1968 movement, and its most prominent architectural manifestation. ‘Roland Rainer (Un)Disputed’ centres around the year 1938. As a result of the acquisition of Roland Rainer’s estate by the Az W, for the first time unrestricted access is available to the original source material, making it possible to discuss Rainer’s activity during the Nazi period and the ramifications for city planning after 1945. Both controversies are prototypical topics for the SammlungLab exhibition format newly established in 2017. While in another new format, Collection with a View, the Az W is taking the 200th anniversary of the birth of Karl Marx as an opportunity to examine his influence on architecture. Timed nicely to coincide with the Austrian EU Presidency, in August the Az W is showing ‘Europe’s Best Buildings’ from the prestigious Mies van der Rohe Award. For the first time the focus is on residential construction, with a particular highlight being the winning project, which involves the participatory renovation and upgrading of a large housing development from the 1960s. And the Austrian prize for ‘The Best House’, being presented in March by the Az W for the seventh time together with the Federal Chancellery of Austria and the s Bausparkasse, has a particular focus this time on construction in existing contexts, i.e. the adaptation and extension of existing buildings and the containment of urban sprawl. In addition, there is a diverse programme of events intended, as the exhibitions are, to convey again in 2018 what architecture can do! For several decades Brutalist buildings were vilified as architectural eyesores, and torn down or left to decay. Does the current hype herald a reversal in this trend? The global online initiative SOS Brutalism – which has already compiled over 1000 buildings in a database – inspired a major exhibition project at the Deutsches Architekturmuseum in Frankfurt. The exhibition to have emerged from the global online platform offers, for the first time, a world-wide survey of Brutalist buildings completed on every continent between 1953 and 1979. What societal developments, which architectural and political ideas provide the context for this international phenomenon? However the exhibition also pursues the question of whether Brutalism can even be defined, or how, and addresses possible strategies for renovation in line with accepted conservation practice. Unusually large cardboard models and 25 sculptural concrete models in the exhibition clearly convey the fascination and quality of Brutalist architecture. The extensive collection of the Architekturzentrum Wien is a rich resource for the special focus on Austria added especially for Vienna, and enables us to show great original material, including models, photographs, sketches and plans. The ten Austrian highlights range from iconographic buildings, like the Wotruba church, to less well-known examples, such as the Oblatenkloster by Johann Pleyer in Vienna-Hietzing, or the Mariannhill boarding school in Landeck by the recently deceased Tyrolean architect Norbert Heltschl – some of which are in acute danger of demolition or modification. Back in 2012, with the ‘Soviet Modernism 1955-1991’ exhibition and the database compiled in parallel to it, the Az W was substantially responsible for the international rediscovery of Brutalist architecture. With the hosting of and addition to the exhibition ‘SOS Brutalism’ we are joining in this work and reacting to rising interest in the architecture of the 1950s to 1970s, which occupies an key place in the Az W Collection. A cooperation by the Deutsches Architekturmuseum and the Wüstenrot Stiftung, with a focus on Austria added by the Architekturzentrum Wien. During the Austrian Presidency of the EU, the Az W is showing the best European architecture projects from the last two years. This year’s focus is on housing, for the first time. The Mies van der Rohe Award is Europe’s most prestigious award for architecture. The key aim is to provide recognition and critical acclaim for exceptional achievements in the field of architecture within Europe. Projects are awarded prizes whose innovative character serves as orientation, even as manifestos, for the development of contemporary architecture. The award is intended to promote the profession and as encouragement for architects at the outset of their careers. Both prizes, the main prize money and the Emerging Architect prize, are awarded for exceptional achievements in conceptual, technical and structural terms. Prize money totalling 80,000 EUR is awarded every two years (Winner: 60,000 EUR, Emerging Architect Special Mention: 20,000 EUR). This year’s prize and the exhibition feature two persuasive winners from the housing sector: DeFlat Kleiburg in Amsterdam by NL architects together with XVW Architectuur, as well as the Emerging Architect Winner, Navez social housing in Brussels by MSA/V. The first of these projects is particularly ground-breaking, engaging with the participatory renovation and upgrading of a large housing development from the 1960s. In total, over 400 European institutions and experts as well as a high-calibre jury nominated 40 projects and selected five of these as finalists. They are all to be seen in the exhibition. For 50 years Denise Scott Brown has shaped the course of architecture. It’s time for the world’s first extensive solo exhibition on the work of this 86-year-old architect, urban planner, educator, and writer. Denise Scott Brown is an icon in contemporary architecture discourse. Through her architectural theory and practice, Scott Brown – together with her partner and husband Robert Venturi – has influenced designers and thinkers worldwide since the 1960s. Scott Brown has been a staunch critic of the late 20th century Modernism that ignored context and history. Accepting and working with existing systems, the city as a layered palimpsest, is central to her urbanist and theoretical work. As a younger generation of architects again embraces this complexity, Scott Brown’s undogmatic formal vocabulary, her modest urban interventions, her illuminating photographic analyses, and her mannerist escapades are all ripe for rediscovery. Scott Brown’s role and achievements have been overlooked and marginalized. Decades after Venturi alone was awarded the Pritzker Prize for their shared work, a petition to similarly recognize Scott Brown garnered 20,000 signatures and global attention. Their fight continues for recognition of joint creativity and the contributions of women in architecture. ‘The World of Denise Scott Brown on Brunnenplatz’ celebrates Scott Brown’s ideas and impact by creating an ersatz urban environment in the Architekturzentrum Wien’s exhibition hall – a fantasy fountain square with imaginary shops and signs celebrating the wide universe of Scott Brown’s life and work. Exuberant ‘shop windows’ display archival objects, photographs, collages, quotations, plans, and videos. The exhibition’s focus spans from her childhood in Africa to her travels around the world – from her photographs, writings, and ground-breaking studies like Learning from Las Vegas to her urban planning, advocacy, and architectural work on four continents. Immerse yourself in Scott Brown’s fascinating life and ideas while you hang out and take a restful break, letting the scenic urban life of the Brunnenplatz roll calmly past. And be sure to explore the interactive digital fountain at the centre of the square – where, in the spirit of Las Vegas and Denise Scott Brown, you can become the monument! Prizes are being awarded, already for the seventh time, to the best single- and two-family houses in Austria. There is currently a particular focus on construction in the existing substance, i.e. the adaptation and extension of existing buildings. In the face of rapidly progressing urban sprawl, the prize focuses on contemporary architecture that creates attractive spaces while contributing to the containment of urban sprawl. This is done with the sensitive reactivation of historic substance by deliberately returning to traditional community centres, and in general through houses that are compact and well thought out, generating high quality with little surface. In addition, the prize highlights programmatic concepts that combine living space with work, and promote intergenerational coexistence. The Best House prize is awarded by the s Bausparkasse in collaboration with the Federal Chancellery of Austria and the Architekturzentrum Wien. The jury, comprised of representatives from the various regional architecture institutions in Austria, awards prizes for The Best House from the many submissions in each Province. The nine winning projects are to receive their awards at the Prize-giving Ceremony at the Az W, and are presented in an exhibition, together with 18 further nominated projects worthy of public attention. In the wake of the 1968 movement there was a shift in Viennese social policy. In the building sector this climate of change manifested itself in the opening of the Stadt des Kindes in 1974. The complex, designed by architect Anton Schweighofer as a type of ideal city, embodies the new guiding precepts of the welfare state: transparency and community. 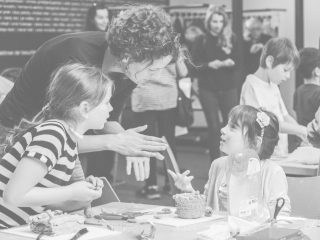 The shift away from the care concept towards a partnership-based approach was clearly illustrated in the housing of the children in family-like groups. Public access to the recreational facilities, like the indoor swimming pool, gym, theatre and ceramics workshop, was representative of the occupants’ local social integration. The Stadt des Kindes became a model project for politicians. As a new model for the accommodation of ‘vulnerable’ children and youths, the project remained an exception and failed to achieve its aspirations. In 2002 it was closed down, and largely demolished despite widespread protest. Two family houses, the swimming pool and the gymnasium have been conserved and renovated. Over 250 apartments were completed on the grounds, with its generous outdoor space, between 2011 and 2013 (architects: Walter Stelzhammer, Peter Weber). The second SammlungsLab, dedicated to the Stadt des Kindes, brings impressive objects from the Az W Collection together with the memories of institutional critique from former residents, and raises, in many ways, the issue of the ambivalent relationship between architecture and social practice. Roland Rainer (1910–2004) numbers among the most notable Austrian architects of the Second Republic. The first three decades of his career as an architect are indicative of his ability to adapt in different political systems. To this day, Roland Rainer’s role and career during the Nazi era and its impact after 1945 is still a controversial topic of discussion in a context of city planning in Vienna. As a result of the acquisition of Roland Rainer’s estate by the Az W, unrestricted access is available to the original source material for the first time. In 2017, in cooperation with the Academy of Fine Arts Vienna, there was an exploration of the biographical source material in German and Austrian archives with a focus on the period from 1936–1945. Now, this Autumn, an exhibition and a symposium provide the framework for the presentation and discussion of the first findings of this research. Both events serve as an overture to a re-evaluation and more intense engagement with Rainer’s oeuvre. The ‘a_show’ is the permanent exhibition of the Az W. It offers a compact overview of the development and history of the architecture of the 20th and 21st centuries in Austria along with a unique view of 150 years of architectural production. In ten episodes the most relevant phenomena and tendencies are shown, while still leaving room for autonomous positions. Starting with Vienna’s growth into an imperial metropolis, the exhibition brings visitors into the field of tension between socio-political experiment, the ‘conquest’ of areas of alpine landscape, the interwoven power structures of the Nazi period, and the rebuilding programme after 1945. Architecture used to be covered widely in print and by the print media, and a veritable passion for collecting printed matter prevailed among architects. With well over 50,000 volumes, the Az W Library now numbers among the most important architecture libraries in the country. In what is already the third showcasing of the Az W Collection, we trace the sensual and intellectual qualities of architecture books, but also with the significance of books or libraries in the digital age. 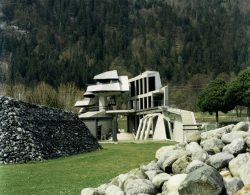 ‘It’s getting colder’, established Heinz Frank in the 1990s, ‘even in the country of architecture and architects today. It is time to imagine the houses with layers again, to find them warming, and also to permit the inappropriate to occur.’ Frank’s response to the climactic changes was the book Kinderbuch for Architekten, published by the Architekturzentrum Wien in 1993. A picture book that turned the order of the architectural vocabulary upside down and opens up space for the new. It forms a departure point for the introduction of a selection of fantastic architecture books for children. In the vacation time we are hijacking our little bookworms with a special programme of architectural excursions in the mind. Collection with a View #4: Happy Birthday Karl Marx! The Communist Manifesto by Karl Marx and Engels was written in 1848, and this year marks the 200th anniversary of Karl Marx’s birthday (1818–1893): In the series of international reflections on the topicality of Marx’s thinking, we provide a special contribution to the history of its reception in architecture and city planning. In Vienna, the names of two well-known council housing estates, Karl Marx-Hof and Friedrich Engels-Hof, bear testimony to the influence the political revolutionary had on built history. 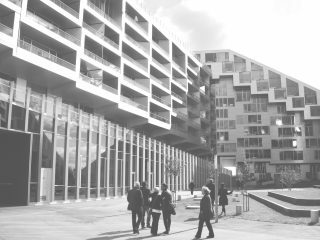 In the 1980s in his ground-breaking book Vienna Rossa, Manfredo Tafuri, founder of a neo-Marxist architecture theory, heralded a renaissance of Viennese council housing in architectural history that has held to this day. In cooperation with students at the Academy of Fine Arts, the fourth edition of Collection with a View spotlights the historical relationships between Marxist theory and architecture.